2017-2018 Brand Ambassador Applications will be posted in October 2016 – check back then! 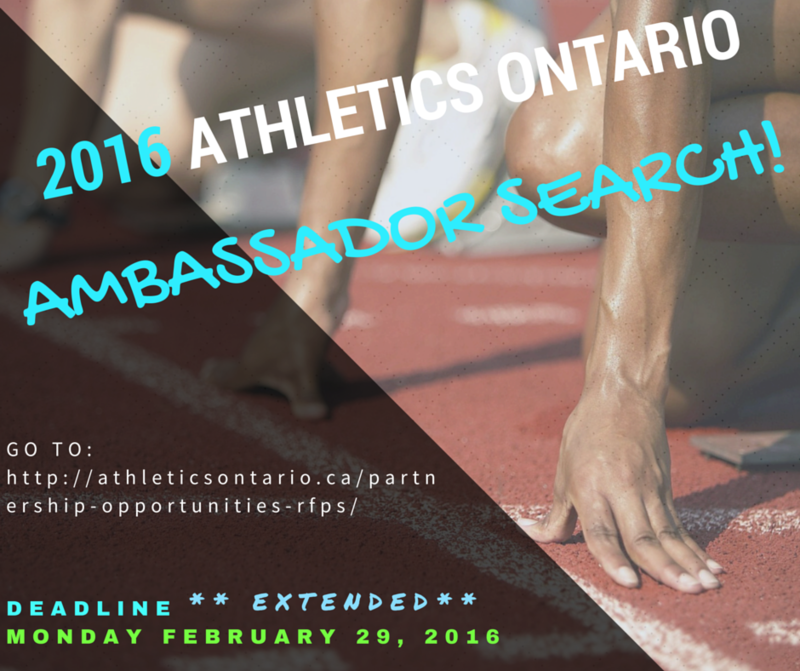 Are you an Athletics Ontario Brand Ambassador? You might be, but don’t know it yet! We’d like to find as many of you as we can – mainly to thank you and honour you for your continuous support and hard work. 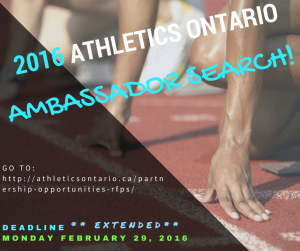 A central part of our programming at Athletics Ontario is resurrecting and amplifying our Ambassador program. You may have been an AO member for decades, or not, but you have taken it upon yourself to tell the world about Athletics Ontario and the benefits of training and competing in track and field, race walking, road running, trail running, cross country running, or para sports. And, most importantly, you want to use the positive experiences you’ve garnered over the years in athletics, and “pay it forward”. Selected staff members will review your responses and a selected roster of Athletes, Coaches, Members, Officials, Volunteers will be announced.